BATON ROUGE - Tavonte Perkins was in the prime of his life when he was shot multiple times and left paralyzed from the chest down. It happened after a gunman opened fire at the corner of Winbourne Avenue and Blackwell Street last year, striking Perkins and another victim. Perkins now needs a wheelchair to get around. His recovery is one that is miraculous after spending four months hospitalized following the shooting. "Every day I sit back and look at the past, me playing football, and look at me now," Perkins said. "I'm just mad at myself every day. I could be in somebody's college playing ball." Perkins needs a trachea tube to assist him to breathe and had a bullet removed from his back just last week. 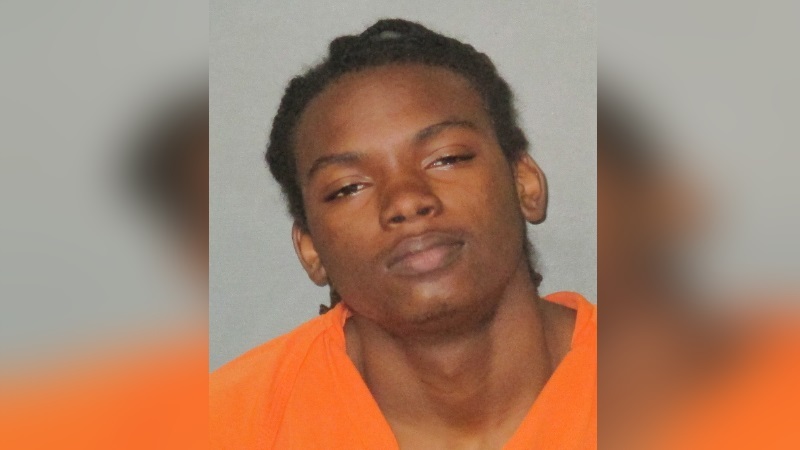 Following the shooting last year, detectives arrested Henry Claiborne and charged him with attempted second-degree murder and illegal possession of a firearm. Claiborne was given an $80,000 bond. He posted bail and was released. However, when Claiborne was set to appear in court, he never showed up. A bench warrant was issued in November and Claiborne remains on the loose. UPDATE: Sheriff's deputies arrested Claiborne Friday morning, about a week after the WBRZ report highlighted he skipped court. "It's a joke and the judges don't realize the severity of what these people are doing and giving them a low bond and letting them go free," Stephanie Bailey, Perkins' grandmother said. She believes the system is in need of an overhaul. "We don't know if he'll walk again, and this guy is free to walk around and have his life and my grandson is in a wheelchair," Bailey said. Perkins hopes others see his situation and learn that one decision can be life-altering. "To all the young kids out there... Stay in school and listen to your parents," Perkins said. "Do what you gotta do. You don't want to end up like this." Perkins' shooting was captured on surveillance video from a nearby house. He identified Claiborne out of a photo lineup while still hospitalized. Claiborne denied shooting Perkins when he was questioned by detectives.